When I first heard about the death of the Swiss mountaineer and speed climber Ueli Steck on Everest’s west peak, Nuptse, I was shocked and surprised, but there didn’t seem to be anything mysterious about it. But then an enlightening interview with the Sherpa who found his body raised many questions, and turned a simple accident into a strange mystery. I was shocked because – as I wrote in my tribute to Ueli – I truly believed he was one of those climbers who would survive into old age. But I wasn’t mystified. Ueli had been intending to climb Everest by the West Ridge, then traverse down the South-East Ridge to the South Col, from where he planned to climb Lhotse and descend. He died after an 800m fall on Nuptse on April 30th. He was travelling alone and unprotected on steep terrain, where a single mistake meant certain death. Nuptse is a continuation of the ridge beyond Lhotse. Ueli hadn’t mentioned climbing it in his pre-expedition publicity, but nobody was too surprised to see him there. In an interview shortly after his death, the great Himalayan alpinist Reinhold Messner speculated that Ueli had been reconnoitring the Everest Horseshoe when he fell. This holy grail of Himalayan mountaineering was a slightly longer version of the route that Ueli announced he would be climbing. It involved traversing across the summit of Lhotse and along the ridge to Nuptse, then descending to Everest Base Camp. It’s a route that many people have talked about, but nobody has ever attempted. Would Ueli be the one? “All of us tend to proclaim more modest intentions at the outset, so that when we succeed [in achieving something more ambitious] we can subsequently announce our success,” Messner said in the interview. Jonathan Griffith, one of Ueli’s former climbing partners on Everest, also expressed no surprise that Ueli was on Nuptse that day. It was completely in character for him to whiz up a difficult mountain on a whim. “He would have been in Camp 2 and seen conditions looked good on Nuptse. 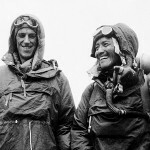 Why not climb Nuptse to acclimatize rather than the Lhotse Face?” Griffith told Outside Magazine. But Messner also said the North Face of Nuptse should not be underestimated. Did Ueli underestimate it, or was it just a rare mistake? Ueli made his name completing speed climbs up the North Face of the Eiger, known as the Eigerwand. Messner pointed out that despite his consummate ability, he performed feats that were laden with risk beyond his control. “If a large rock falls from above and hits you on the Eigerwand, you are going to fall and you are going to die,” he said. Mountain guide and writer Michael Wejchert echoed this sentiment in a tribute to Ueli in the New York Times of all places, when he said that “Those [solo climbers] who live into old age are usually the soloists who quit climbing alone”. 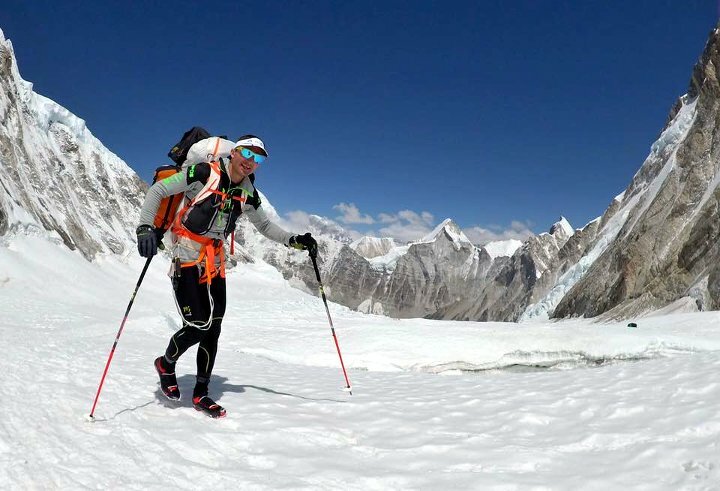 It was no mystery then, either for Ueli Steck to be on Nuptse or for him to die there. It seemed the case was closed, but it’s in the nature of humans to ask questions, and a man called Leo Montejo, team doctor with Madison Mountaineering, decided to talk to Vinayak Jaya Malla, the Nepalese mountain guide who found Ueli’s body. Vinayak turned out to be a fascinating interviewee, knowledgeable, inquisitive and, crucially, possessing a good memory for detail. 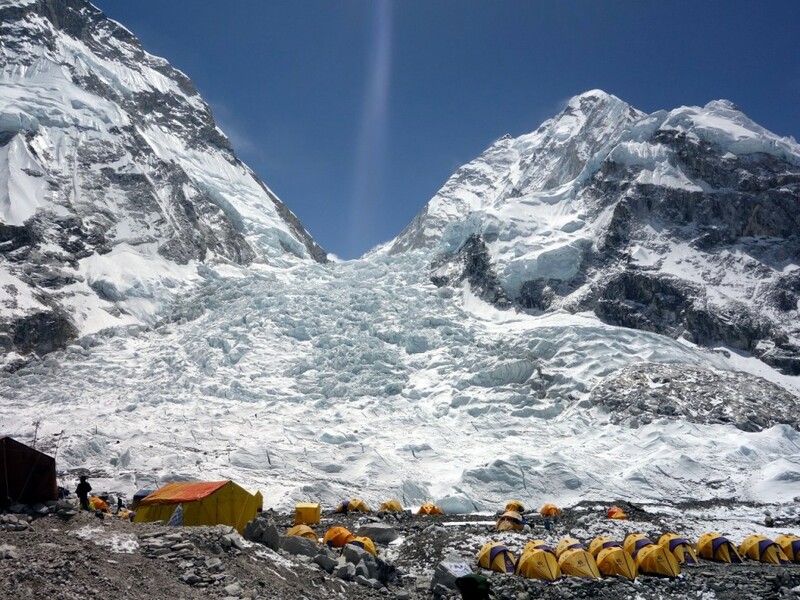 The Khumbu Icefall from Everest Base Camp. Nuptse is the mountain on the right, and the north face is its left-hand skyline. Vinayak was climbing up from Camp 1 in the Western Cwm in perfect weather conditions – cloudless, with no wind – when he saw a climber on a ridge high on 7,861m Nuptse. He estimated the climber was at 7100m to 7200m, and heading towards the summit of Nuptse I, the highest of Nuptse’s seven summits. A short while later he heard a sound like something falling, and looked up to where he had seen the climber, but the climber was no longer there. He met a Sherpa colleague on his way down from Camp 2, and they spoke about what Vinayak had seen. They agreed to go and look. At 9.34am they found Ueli’s body at an altitude of 6,300m, roughly 300m off the main route. Vinayak offers three explanations for why Ueli fell. He saw a rock the size of a football nearby, stained with blood, one of Ueli’s crampons was missing, and he wasn’t wearing a harness. Solo climbers often wear harnesses on steep terrain so that they can attach themselves to a rock, lean back and take a rest when they are tired. Rockfall, a missing crampon, or tiredness, could all have contributed to a fall. So far, there is no mystery, only facts that help to explain the story. But then Vinayak helped to gather and inventory Ueli’s belongings, both at the place where he landed, and in his tent at Camp 2, and this is where the mystery starts. Vinayak states that Ueli was carrying or wearing 6000m mountaineering boots, crampons, a good jacket and trousers, a small bag of water, a chocolate bar, a GPS and a camera. This information wasn’t enough for the inquisitive Vinayak, who went on to note the items Ueli didn’t have. These included a helmet, gloves, a harness, ice axes and trekking poles. Of course, he could have lost these during the fall. But did the equipment in Ueli’s tent offer another clue? Vinayak was surprised that Ueli hadn’t taken the rope, but he was gobsmacked at the thought that he may have been climbing without ice axes. Ueli was well known for completing difficult routes with only trekking poles. Later in the article, Dr Montejo produces a photo of Ueli standing on the summit of Island Peak with a trekking pole, but no axes (interestingly, he is also wearing a harness). 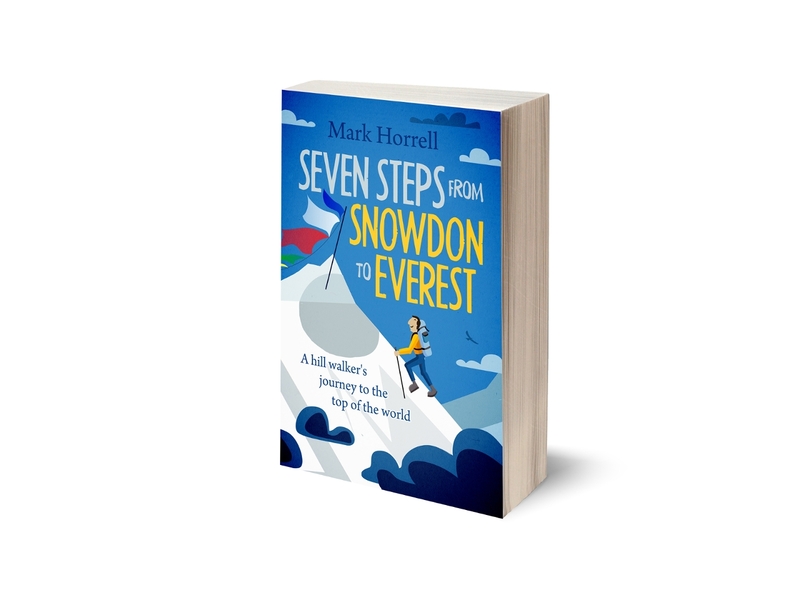 Having climbed Island Peak myself, I can say with confidence that I could not have done it without an ice axe (but I’m to Ueli Steck what Carlton Palmer was to Bobby Charlton – and that’s being unfair on Carlton). Could Ueli have taken this approach on the north face of Nuptse, which Messner said should not be underestimated? Vinayak believes that Ueli was climbing Nuptse with trekking poles (which means, presumably, that he lost them in the fall), because this was Ueli’s climbing style. But his description of the route that he saw Ueli take makes this sound foolhardy. Ueli was climbing Nuptse I and did not use the standard route. From camp 2 he went up the glacier on a block of ice, and then continued on a 70-75 degree mixed wall of ice and snow. The wall then traverses to the ridge which is also a mix of rock, ice, and snow. Climbing a 70-75 degree wall of ice with trekking poles? There is a light-hearted moment in the interview, when Dr Montejo asks Vinayak what he would have found most useful that day that Ueli did not take with him. Vinayak’s answer: a climbing partner. Of course, Ueli’s best-known attribute was that he liked to climb solo, but even in this respect there were signs that Ueli had a change of heart. He had been intending to climb the West Ridge and Lhotse with Tenji Sherpa, with whom he climbed Everest in 2012. But Tenji was suffering from frostbite, and was told by his doctor not to climb. 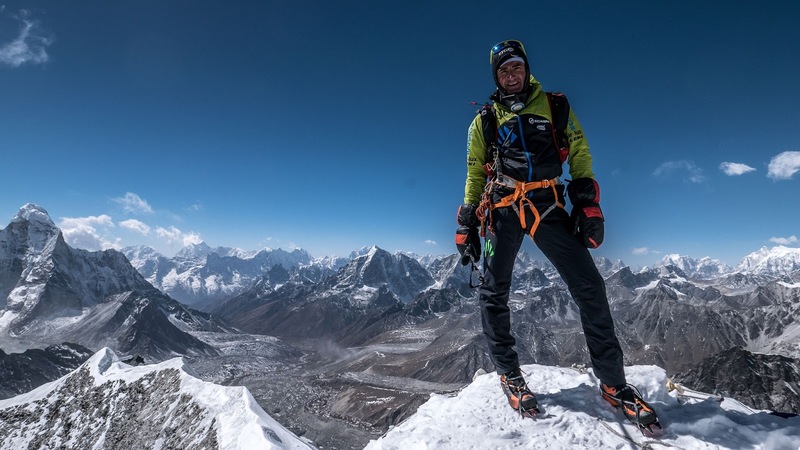 Then Ueli tried to team up with another alpinist, Yannick Graziani, but Graziani was told by his operator not to climb Nuptse because he didn’t have a permit. Did Ueli, a man famous for meticulous preparation, training and practice, underestimate Nuptse? This, for me, is the mystery. Often the most profound explanation is the simplest one. At the end of the interview, Vinayak provides some of the wisest and most poetic words I’ve ever heard used to explain a mountaineering accident. If you have been to the Himalayas, you will often see Bharal, blue sheep, very high on the mountains. They are very agile and fast so as to protect themselves from snow leopards. But sometimes, blue sheep fall off from cliffs. Each time they do, there is a different reason. Sometimes they fall due to rock fall, other times, they have perhaps run too fast, etc. Perhaps we must think of Ueli as such – as a Bharal, as one of our blue sheep of the Himalayas who one day fell for an unexpected reason but was otherwise a master. You can read the whole of the interview with Vinayak here. I strongly doubt that Steck would have attempted Nuptse without axes. The ones in his tent, like the crampons, where probably spares, or different models that he brought in case conditions dictated them. Just my guess. He made himself not popular at an occasion when he climbed were the sherpas was working, although they not permitted him to climb pass them. There were a lot of sherpas that was very angry for a while there… (as you wrote in another article, if I remember right). Probably that anger just petered out and no one of them would still be that angry on him. It is a longshot and probably far away from what happend. I would be astonished if someone still would be that angry but I don’t know the whole story (or stories). Sad story anyway. RIP Ueli Steck. There are places on the internet for groundless conspiracy theories. This blog isn’t one of them. Okey, I will not write any more comments on your website. Obviously I don’t belong here. Sorry to bother you with some thoughts I had. I guess I could have been more polite, or simply deleted your comment. 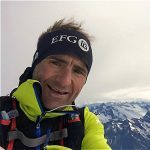 You appear to be alleging, without evidence, that Ueli Steck was murdered by a Sherpa. I just wanted to make it perfectly clear that I’m not going to allow my blog to be used to discuss that kind of conspiracy theory. And if you think it’s what I’m suggesting in the article, then you haven’t read it. Another great article Mark, your blogs are fantastic. Ueli was certainly a unique and amazing climber. My opinion and my worry for him for many years was his style ultimately couldn’t translate for very long in the Himalayas. On the Eiger and other mountains in the Alps that he first became known for, he knew the route detail and snow/ice/rock conditions down to almost each hold, step, and each pole/axe plunge. , He knew the weather scenarios and their application to the surface conditions and could verify them through closer and longer observation, greater historical knowledge and even poking his head out of places like the Stollenloch window, Trams, Railways, helicopters and evaluating the face itself and making an informed decision without actually climbing yet -a giant safety factor that is near impossible in the Himalaya. With this and many other advantages (like lower altitude and rescue possibilities too) in the Alps he could move at speed with a unique and powerful confidence. But as you are certainly aware of, the much longer and higher Himalaya routes become much harder to know at a step by step detailed level. The locations, elevations and sheer prominence makes conditions so dynamic in a way that cannot be known familiar -as in the Alps. Even observing the routes over time in detail is a giant logistical challenge in Himalaya (as opposed to watching daily for years in the Alps from a patio or alpine meadow like at Kleinne Scheidegg etc) Intimate knowledge of the variation of the high Himalayan snow/ice/rock quality is almost impossible to predict until your on it -especially on the lesser climbed routes Ueli was eyeing in the Himalayas. Mix these factors with Ueli’s unique pace and techniques he could easily find himself in one tiny bad patch of snow or rock and it would be too late. Ueli wouldn’t have even needed to make a single mistake, everything could have been perfect and just one tiny bad spot could spell disaster because of the speed at which he moved through the less familiar more dynamic ground in the Himalaya. My guess (just a guess!) is a simple undetectable aberration in the snow/ice terrain he was traversing caused his fall -only because it is the simplest and most likely answer when applying the many risks and rewards of his climbing style. It was a beautiful and graceful style that was brave, inspirational and exhilarating, I just wish we could have all witnessed more -he will truly be missed. I apologize if this was very redundant for someone of your experience to post on your blog -I just had to write it down somewhere because I have followed and thought so much about his climbing in the last decade -and his death was very tragic. What an inspirational soul we have lost. I think you captured perfectly the essence of what I was trying to convey with Vinayak’s interview regarding Ueli. My take on Vinayak’s answers is that Ueli underestimated Nuptse, a mountain he did not know at all. And yes, there were more clues inside his tent than anywhere else as to what may have happened that day. My question regarding the presence of others on Nuptse that day was not innocent. There were rumors at Everest BC similar to what one of your rein my readers insinuated. I wanted to have Vinayak confirm that he was alone that day on the mountain. The thought that Ueli’s accident could have been caused by someone is ridiculous in my opinion, especially if you know and understand Nepali culture. Mountains, however careful one is, will always offer an element of randomness in their danger. Some are lucky, despite their lack of experience. Others, like Ueli or the Bharal of the Himalayas, may succumb to them, even when they are at the best of their game. Today, I am also thinking of Alberto Zeraín of Spain, an incredibly talented climber, who was recently taken away from our community by an avalanche at Nanga Parbat. Climb safely – and with a dose of luck. Hi Leo, thanks for commenting. I really enjoyed reading your interview – some great questions and some even better answers. He is an interesting interviewee, and there is some clever detective work between the two of you. I have to a agree with BK in the comment above yours. The simple explanation is usually the right one. 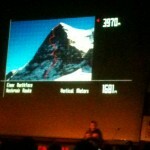 Ueli had climbed the Eiger many times before his first speed ascent. It does look like he may have underestimated Nuptse. A sad end for a great man, both as a climber and a person. I actually didn’t see the previous “nefarious” theory of Sherpa involvement when I wrote my original comment. -Wow, that guy must have found Occam’s giant Broad Sword out to think that garbage up. Beautifully written piece Mark, and a bit of wonderful reverence to those who still see the mountains and their Bharal amidst the daunting risks. So much of the high altitude worlds (as all of the world is) are changing with ice ebbing, and structures morphing….but as is mentioned it inevitably seems to come down to mere moments. Great tribute to the mountains, their people and Ueli. 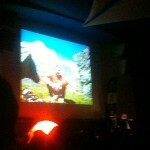 Ueli did use ice axes and he left it at the bottom of the route the day before he went for the final climb. Yannik can confirm this , we were together in camp 2 that day. what is strange is that the Sherpa who found ueli steck, said that one crampon was bonded with rope so maybe ueli did not made a mistake or underestimate the route but it was a failure of the crampon??? Just speculation; he might have had trouble with his crampon. Trying to fasten it, took off his gloves. But since he didn’t have a harness, lost balance and fell. There is a nice tribute by Colin Haley in his fb page, a person who has climbed with Ueli and one of the top alpinists in the world. I think Colin is the only one who has pointed directly at a few important aspects of Ueli’s risk taking tolerance that Messner mentioned generally. Personally I think that 60-70 degree ice is a treacherous place for a high level alpinsit since he will not bother to protect. Trekking is not about your physics but it’s about your mental state so keep your mind strong.